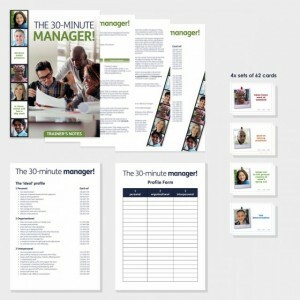 The 30-Minute Manager! is an easy-to-use, stand-alone, generic activity. It’s ideal for the start of training courses for new managers and supervisors and as a refresher for existing managers. 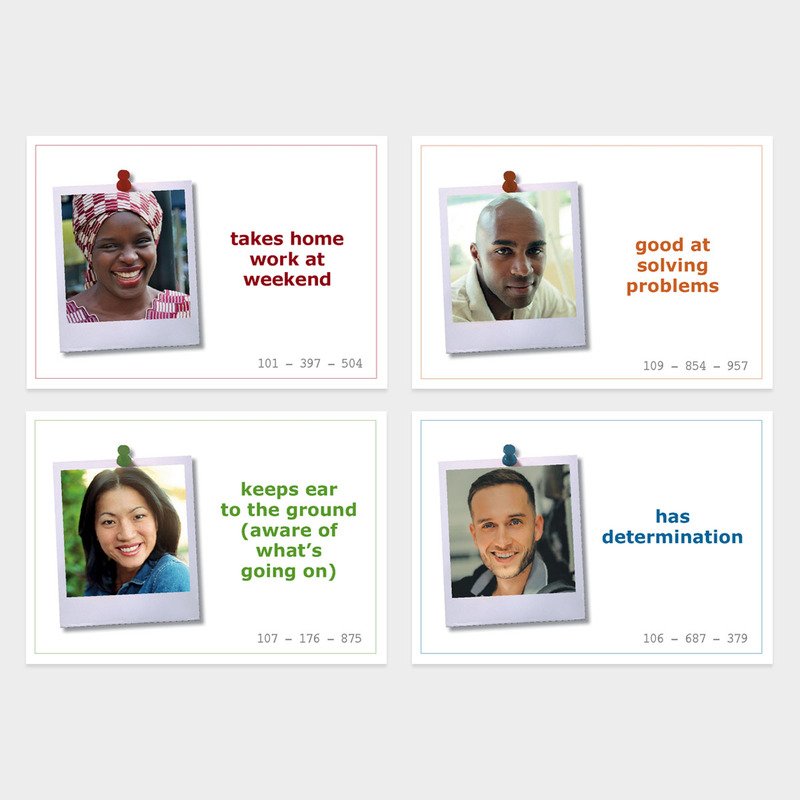 Each team has a set of 62 cards, each stating a characteristic that a manager or supervisor might possess - some desirable, some less desirable, some irrelevant. First, teams must sort the cards into four groups of attributes: Personal, Organisational, Interpersonal and Irrelevant. 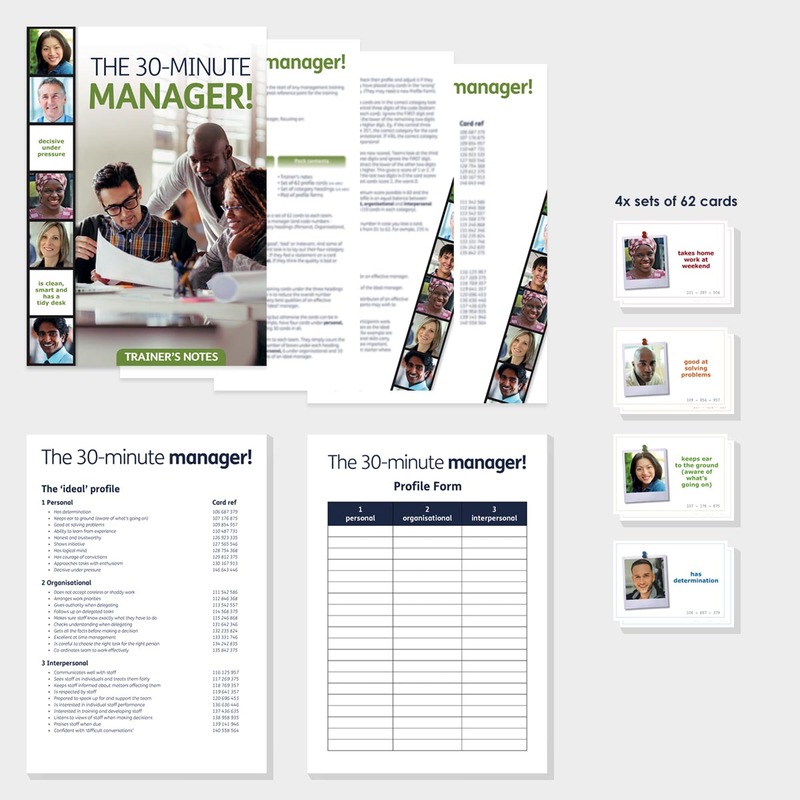 They then reduce the cards to just 30 (spread roughly over the three categories) that best describe their view of the perfect manager. How do individuals match up to the profile? What are their strengths and weaknesses? The act of sorting the statements and the elimination process stimulates valuable discussion about manager attributes and creates a view of the ‘whole’ manager. Please note: This is a revised, redesigned and updated version of our bestselling What Makes a Manager? (no longer available). The timing for this activity can be flexible from 30 to 45 minutes. Issue a set of cards to each team and allow up to 20 minutes for sorting into the four categories. You can allow teams to take longer if you have more time, and equally give them less time if not. Allow teams a further 10 minutes to select their top 30 cards. Issue Profile Forms for teams to 'profile' their ideal manager. Use the secret code to double-check teams have put cards in the right categories. Score each team and lead a discussion on each team’s profiles and the key ‘manager attributes’. Was there much agreement between team profiles? If not, why not? Get participants to reflect of their own manager attributes: their strengths, where can they improve - and how? I ran this activity in the first module of our ‘New Managers’ programme. It worked really well and the delegates really enjoyed it. It helped them to identify that being a good manager is about having good people skills – as well as technical skills. It reinforced nicely, that what they were about to learn over the course of the programme is really important. I use this activity regularly and it works really well. It's great for provoking discussion around what defines a good manager. Thank you!